Our First Sponsor is: Ikes Art who is offering a $15 Gift Certificate. Our Second Sponsor is: Scribbles Designs who is offering a $10 Gift Certiicate. Sandy, the artist and owner behind the wonderful world of Scribbles Designs. She has a funky imagination and creates us some quirky characters. Sandy's has had a pencil in her hand since she was "knee-high to a grasshopper" and started on her artistic journey with her first family ball & stick figures portrait at age 3. Sandy has loved art, drawing, water coloring and doodling for many years... and with the digital image world she can now share it with all of you. Brrr (Penguin) was her first main character and her other quirky images followed not long after. Our Third Sponsor is: The Stamping Boutique who is offering 2 images from store. 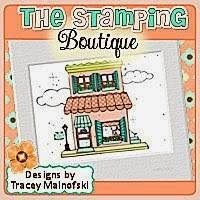 Tracey Malnofski is the owner/artist behind The Stamping Boutique. She offers original digital images and artwork. It is also the home of Glitterbabes, Digital Stamps designs by Stef Hughes There is such a great selection of images to choose from, we know you will love them! 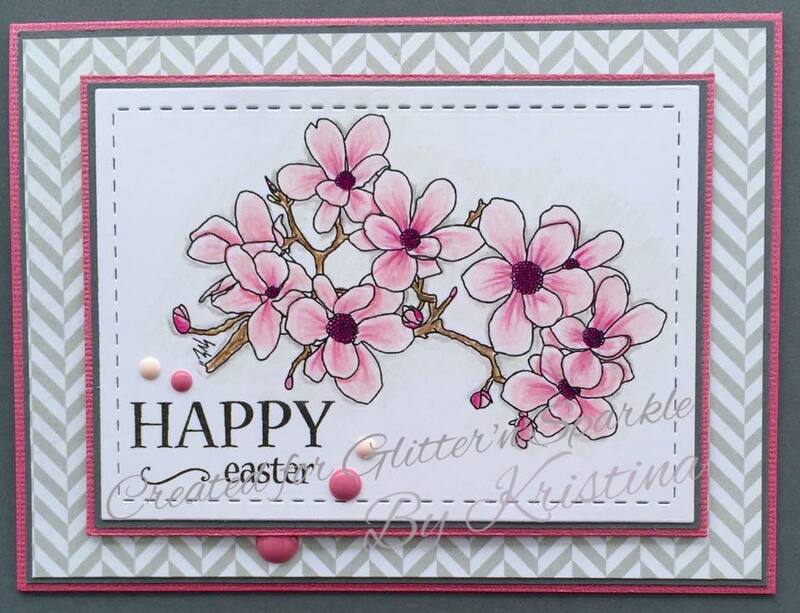 For my card today I have used an image from Ike's Art - Blossom 1. I coloured the image with Prismacolor pencils for something a bit different for me. Thank you for using one of my images and it was a pleasure to Sponsor you. 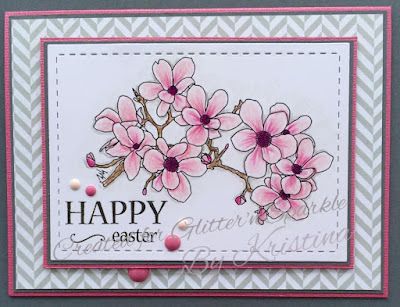 What a sweet card , I really like the colors made ​​in flowers!